This articles gives the list of Top Engineering Colleges in Delhi and NCR and also list about the admission process to these engineering colleges. The major problem concerning the students who pass Class 12 these days is what to opt for as their field for higher education. There are a huge number of students who opt for engineering courses after 12th. However, the main dilemma that remains with them is to choose the Best engineering colleges in India to study. 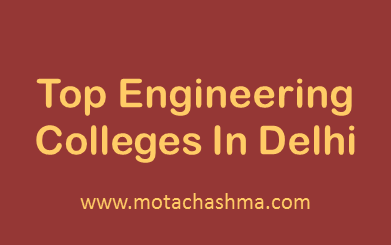 Lack of information about the institutes, basic cut off marks, the number of seat availability, among others, makes them switch to other options.In order to enlighten students regarding such information about the best colleges & universities available for them, here is a list of Top Engineering Colleges in Delhi, thus guiding the students down the career path. The counselling of IITs & NITs would be on the basis Joint counselling known as JoSSA 2016 and similarly, 4 engineering institutes in Delhi conduct common counselling known as JAC Delhi and these are DTU, NST, IGDTUW & IIIT Delhi. Institutes under IPU will have admission on the basis of IPU Counselling. DTU, NSIT, IGDTUW, IIIT Delhi has 85% seats reserved for the students who have passed their class 12 exam within NCT of Delhi. A lot of students from other states also opt for studies in Delhi in Class 11 and Class 12 to avail this benefit so if somebody is targeting the admission in the colleges like NSIT, IGDTUW and IIIT Delhi then they can pursue their Class 11 and 12 from a school in Delhi.